As you may recall, we love and support Fairy Bricks here at New Elementary. 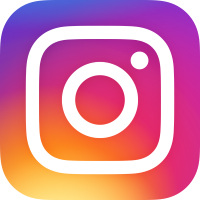 They raise funds, use them to buy LEGO sets at discounted prices to make the most of , then donate the sets to children's hospitals and hospices around the world. 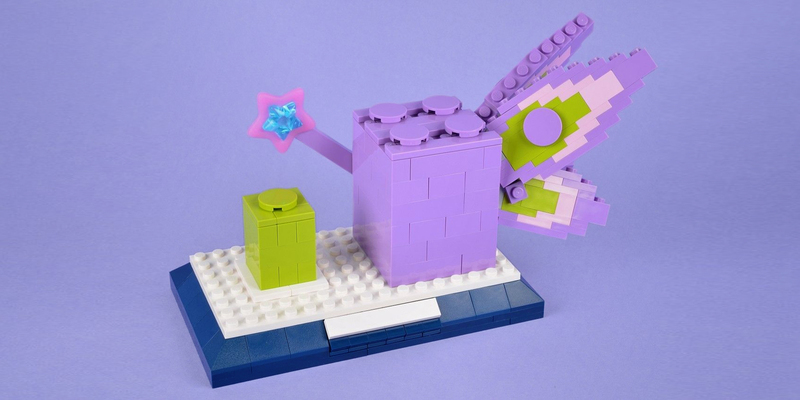 Their latest fundraising endeavour is a limited edition kit of the Fairy Bricks logo in 3D, designed by UK Certified Professionals Bright Bricks. There's only 500 available and you can buy set FB001 now! International customers, it's probably best to contact Fairy Bricks direct at contact@fairybricks.org. 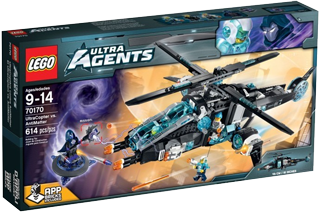 Ultra Agents has proven to be a popular and exciting LEGO® theme, and in advance of the new summer sets hitting stores Jeremy Williams (Bricking It) takes a look at one of the currently-available winter sets: 70170 UltraCopter vs. AntiMatter. My 'eighties childhood was marked (as I’m sure everyone’s is) with some key contests: which is better? Dallas or Dynasty? BA or Murdoch? Neighbours or Home and Away? Blue Thunder or Airwolf? I had answers to all these questions, and (as you’ve probably guessed by now) also had the sallow skin and weak eyes of an indoors, trash-TV addict. And in the case of the latter question, it was Airwolf all the way. Which is why I am irresistibly drawn to the Ultracopter. In my mind, it lives inside a dormant volcano, ready to unleash terror on any would-be villains. The Ultra Agents playtheme is already a firm favourite, but this has to be the standout set of the range. Bristling with weaponry and oozing with style, I couldn’t wait to get started. 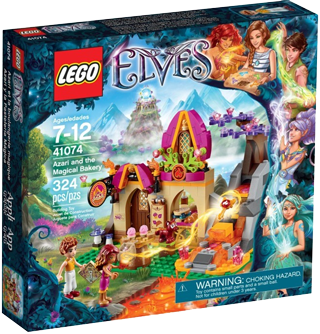 Our comprehensive LEGO® Elves coverage resumes today with Andrew Barnick heading to the bakery, where they seem to be cooking up some great new parts and excellent recolours of existing parts. The second Elves set I’ve been lucky enough to build is 41074 Azari and the Magical Bakery . And boy, is it a doozy! I knew it would probably be a great set for parts given its vibrant and novel magenta and orange color scheme, but even I wasn’t prepared for just how many of those parts would be new, rare, or otherwise noteworthy. I’d be willing to say that this may well be one of the best sets of the year if you’re looking for a mid-sized set with an interesting and diverse part selection. Let’s take a look!